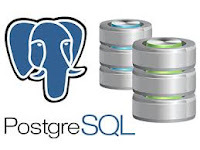 PostgreSQL is an object-relational database management system and most advanced open source database system. PostgreSQL has active development of more than 15 years and a proven architecture which has earned it a strong reputation for reliability, data integrity, and accuracy. It was developed based in POSTGRES 4.2 at the Berkeley Computer Science Department, University of California. PostgreSQL supports to almost all the platforms Linux, UNIX (AIX, BSD, HP-UX, SGI IRIX, Mac OS X, Solaris, Tru64), and Windows. PostgreSQL, originally called Postgres, was created at UCB by a computer science professor named Michael Stonebraker. Stonebraker started Postgres in 1986 as a follow-up project to its predecessor, Ingres, now owned by Computer Associates. 1977-1985 − A project called INGRES was developed. What makes PostgreSQL stand out? PostgreSQL is the first database management system that implements multi-version concurrency control (MVCC) feature, even before Oracle. The MVCC feature is known as snapshot isolation in Oracle. 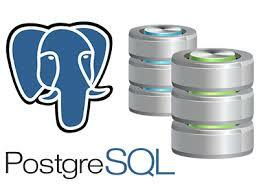 PostgreSQL is a general-purpose object-relational database management system. It allows you to add custom functions developed using different programming languages such as C/C++, Java, etc. PostgreSQL is designed to be extensible. In PostgreSQL, you can define your own data types, index types, functional languages, etc. If you don’t like any part of the system, you can always develop a custom plugin to enhance it to meet your requirements e.g., adding a new optimizer. If you need any support, an active community is available to help. You can always find the answers from the PostgreSQL’s community for the issues that you may have when working with PostgreSQL. Many companies offer commercial support services in case you need one. Many companies have built products and solutions using PostgreSQL. Some featured companies are Apple, Fujitsu, Red Hat, Cisco, Juniper Network, etc. Check it out the PostgreSQL’s featured users section for the complete list of organizations that are using PostgreSQL.